Published by the American Geophysical Union as part of the Geophysical Monograph Series, Volume 198. 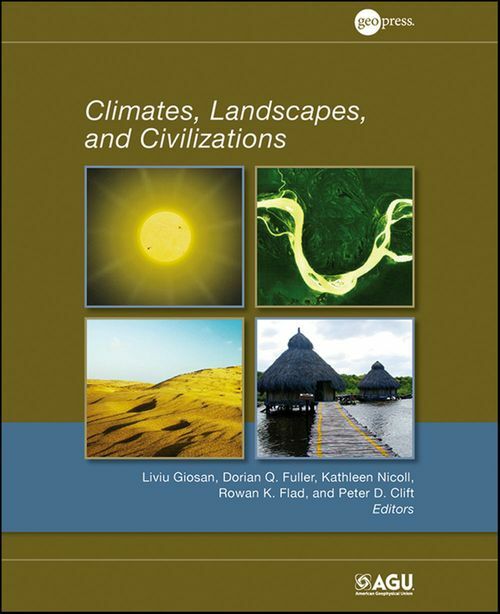 Climates, Landscapes, and Civilizations brings together a collection of studies on the history of complex interrelationships between humans and their environment by integrating Earth science with archeology and anthropology. At a time when climate change, overpopulation, and scarcity of resources are increasingly affecting our ways of life, the lessons of the past provide multiple reference frames that are valuable for informing our future decisions and action plans. Volume highlights include discussions of multiple connotations of the Anthropocene, landscapes as a link between climate and humans, synoptic approaches to explore large-scale cultural patterns, regional studies for contextualizing cultural complexity, and environmental determinism and social theory. Straddling the fields of Earth sciences, anthropology, and archaeology and presenting research from across several continents, Climates, Landscapes, and Civilizations will appeal to a wide readership among scientists, scholars, and the public at large.